No matter the weather, so much of the Zoo is indoors to warm your heart and make new friends. Apple Valley, Minnesota — Your HOME away from HOME! Apple Valley has over 200 stores within two blocks of all our hotels and access to Minnesota's largest mall, Burnsville Center and Twin Cities Premium Outlets. Variety is our favorite flavor! Whatever you're craving ... Luxury, American, Fastfood or International, we have it all! Unleash your inner adventurer and take in all Apple Valley has to offer, including indoor pools, the Minnesota Zoo, golf courses, live music and theatres. The AmericInn Apple Valley hotel is conveniently located in downtown Apple Valley, Minnesota just minutes from the Mall of America, MN Zoo and the Minneapolis/St. Paul International Airport (MSP). 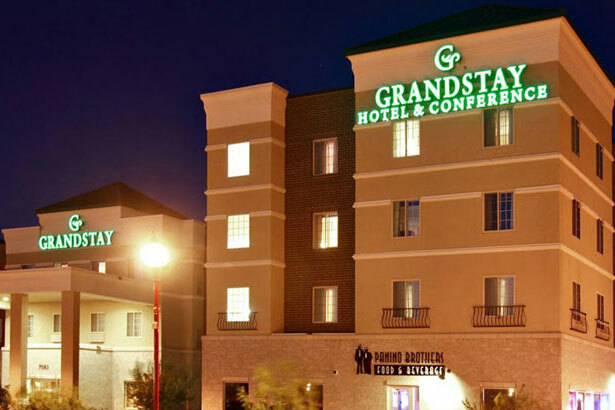 Top rated among local hotels and winner of TripAdvisor's 2013 Certificate of Excellence, GrandStay® Hotel & Conference in Apple Valley, MN, is the ideal choice for anyone planning a business meeting or celebration in the Apple Valley area.